I remember the first time I went to Miami I told a friend I was staying at 21st and Collins and he squirmed. He said, “Wow, that’s really high up” and gave me that five heads look. He spooked me but what I learned from what he said is that perspective is everything. Contrary to popular belief, there are different vibes all along the beach area. 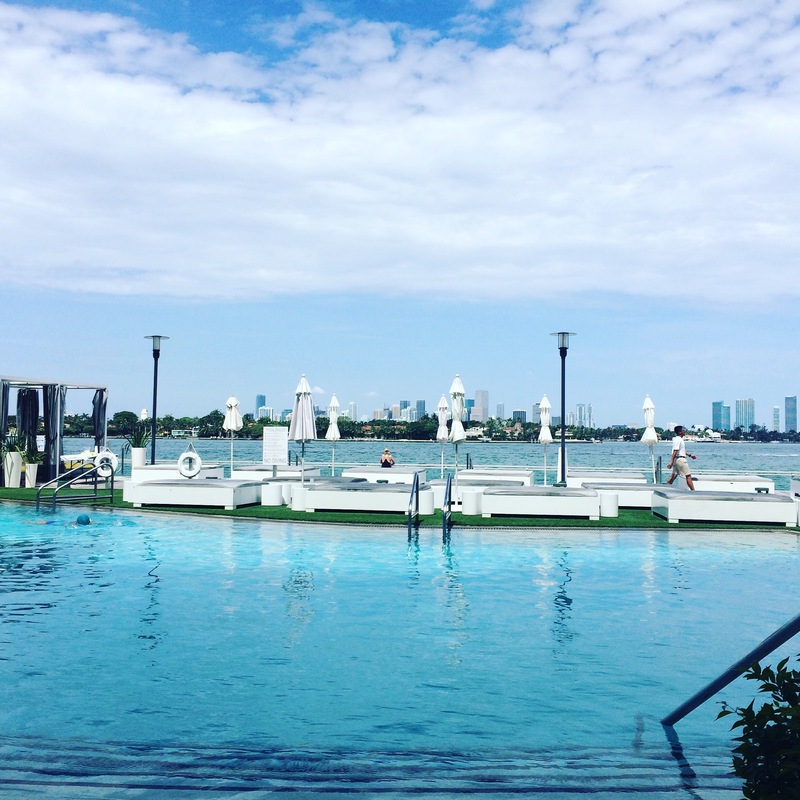 There are three major areas to consider when thinking about South Beach: Miami Beach, South Beach, and Bay Side. I view Miami Beach as anything north of the Lincoln Road mall between 16th and 17th street. Some say it’s anything above 21st. I personnally think the vibe changes north of Lincoln Road Mall. It gets more subdued, you see more couples, and slightly more clothing. By the way, Lincoln Road Mall is one my favorite areas- it’s a long strip of high end to normal shopping and restaurants with outdoor seating, and an easy spot to spend all your money. 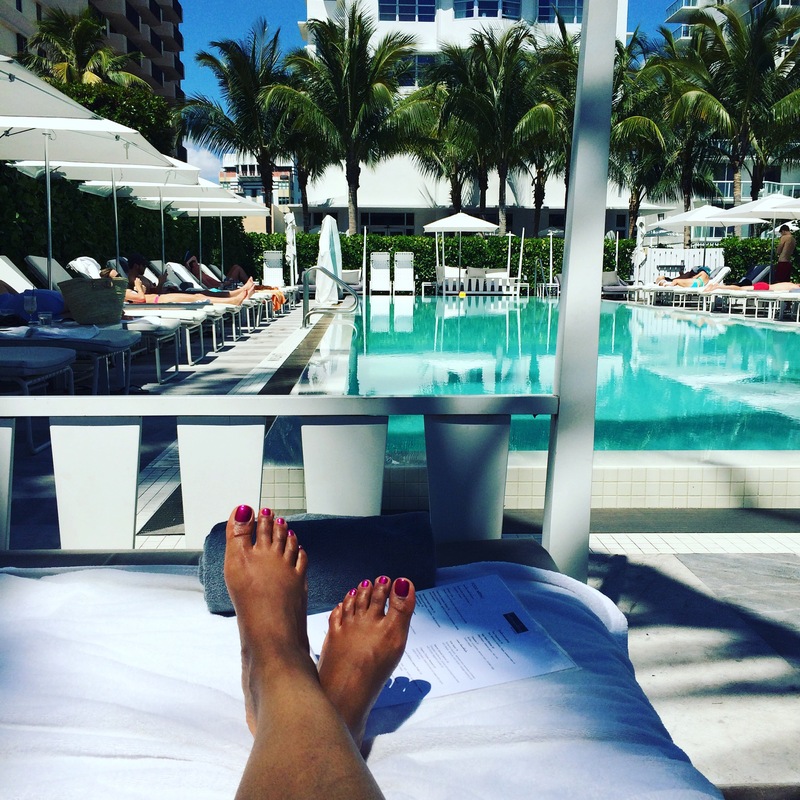 So yes, you can relax in Miami! If you’re like me, and your first memory of friends hitting the beach in Miami was during Memorial Day weekend, you may think otherwise. But Miami Beach is a place for relaxation. It is the more tranquil, mature part of the beach. It’s not just a party area and you can easily stay there for a couples trip or solo getaway. I won’t lie, there is a such thing as getting too north. I mean, the Fountainebleu is pretty at 44th and Collins, but I think most places north of that are Siberia. What will you eat? How will you get water? OK, dramatic. But, you get the point. South Beach on the other hand is more raucous. More people, more bars, and more of an attitude of “we’re here a good time, not a long time.” Especially if you are anywhere near Wet Willie’s or places that serve ambiguous grain alcohol, be prepared to not sleep much. The nice thing about both of these areas is if you’re staying along Collins, you’ll have direct access to the ocean. The same is obviously true if you’re staying at Ocean Drive. That is why I distinguish these parts from the Bayside. Bayside is the west part of South Beach that has bay views. It is not on the ocean so your hotel will not have direct ocean access. The vibe over there is different. Still lots of partiers but the surrounding areas can be very residential. For example, there is a Whole Foods and neighborhood restaurants where the locals hang. So, where are my favorites? 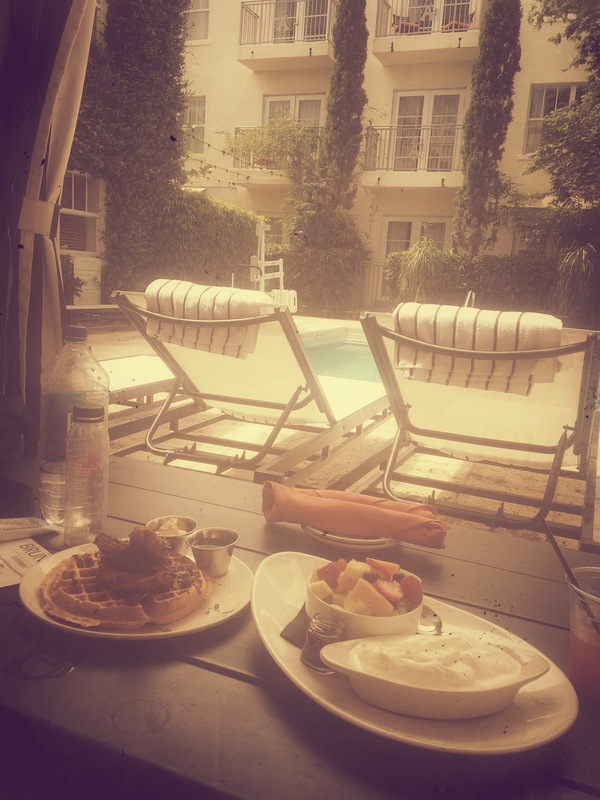 Chic pool, good food and great staff make this my favorite. Kashan, the front desk manager, is super helpful and has lots of connections in the area to get you into a great club or show. So if you do go, make sure to become friends with him. Como also has interesting rooms- art deco style- with nice, spacious balconies with ocean views. I love, love this hotel. 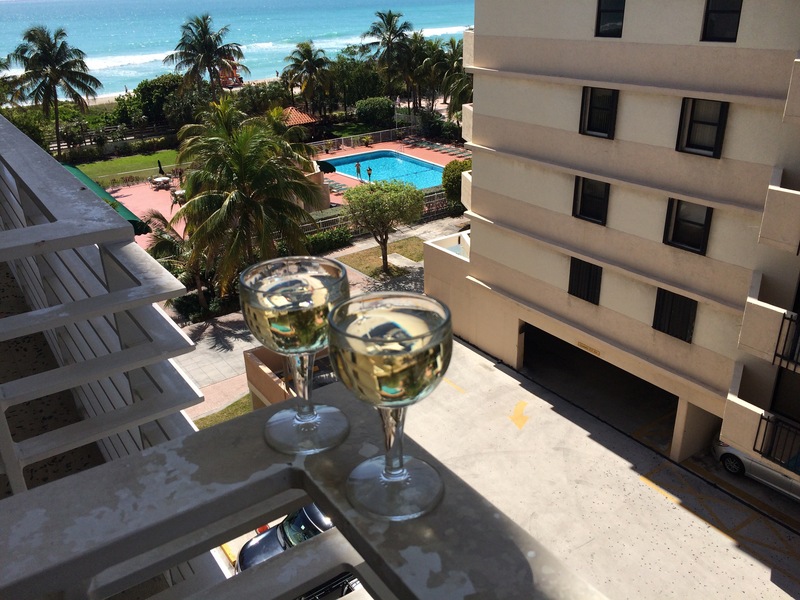 Surfcomber is a bubbly, meeting spot for all types of folks. The pool is large and has great ocean views. This Kimpton also has one of the better signature happy hours. Some other Kimptons phone it in with Trader Joe’s wine. Not this one. They mix it up with fun cocktails and homemade sangria. Similarly, the brunch here is very good. 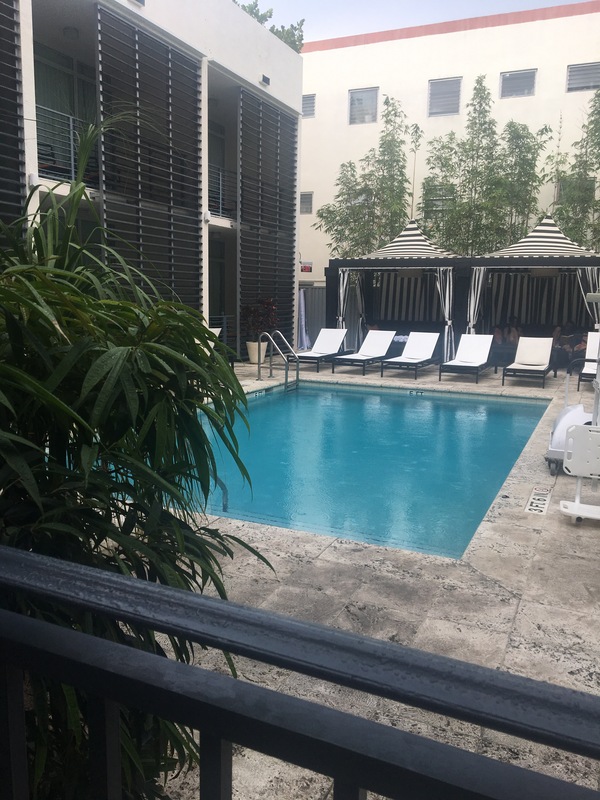 Angler’s is a boutique hotel in South Beach on Washington Ave. Although it’s not right on the beach, it’s two blocks over. What I like about Angler’s is that it’s very unassuming. It’s small but has a really nice staff and super cute restaurant and happy hour. I was also originally a little concerned about the small pool but it fits the small number of rooms and I’ve never experienced it being crowded. I always have to give a dud. 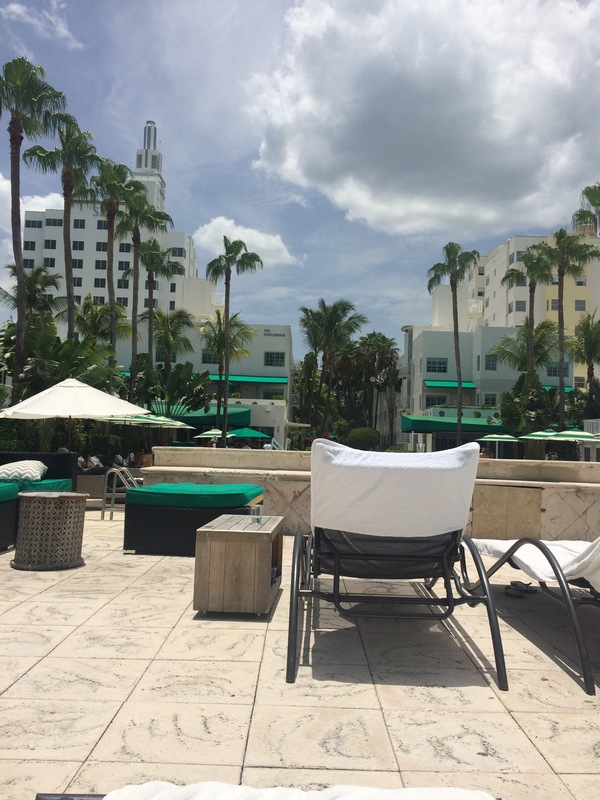 I have enjoyed most places I’ve stayed at in the Miami Beach area. But Mondrian has been my least favorite. To be fair, the pool is amazing. (see photo and you get it) But the rooms are so dismal rooms. We were in one of the penthouse suites (reservation glitch for the win) and it was still disastrous. The room was big but looked like something from the 70s. Sparse, dated and had gnome sized beds. It was a no for me. This is also a bayside spot which I don’t love. Fewer restaurants and a longer walk to the beach. The people working here will also make you confused and/or tired.